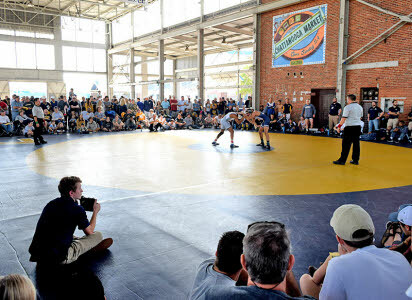 UTC wrestlers face off at the First Tennessee Pavilion. 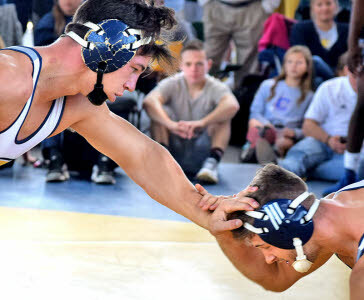 Chris Debien (in gray) takes down Franco Valdes in the 141-pound class. Head coach Heath Eslinger watches from the side. 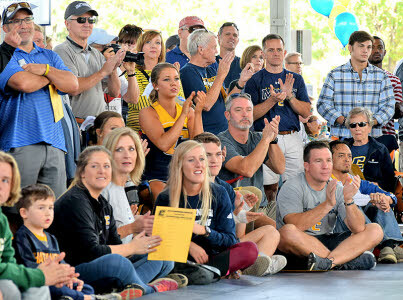 Fans applaud Chris Debien’s win. 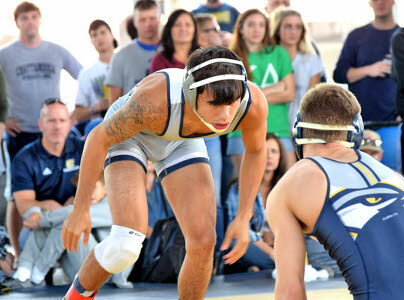 Fabian Guiterrez, left, wrestles Cody Hill at 125. 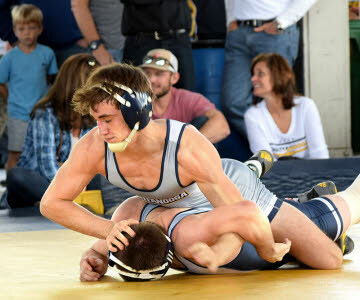 Jake Huffine has the advantage over Colton Landers at 133. 149-pounders Jake Adcock and Roman Boylen land near the scorer’s table. 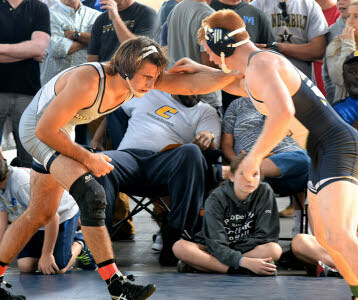 Trey Watson, left, looks to pull down Justin George at 157. Justin Lampe does a warmup leap before his match. 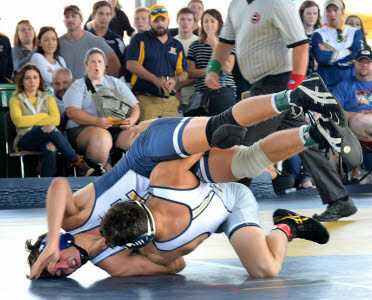 Senior Chad Pyke, left, faces freshman Drew Nicholson at 165. 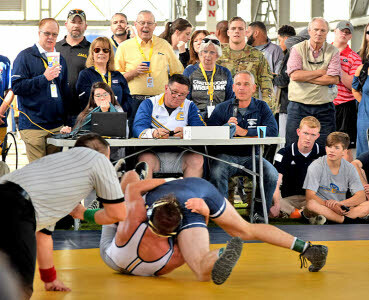 Fans watch Justin Lampe fend off Hunter Fortner at 174.